Lady of Ledger Bookkeeping has been trading since 2004. 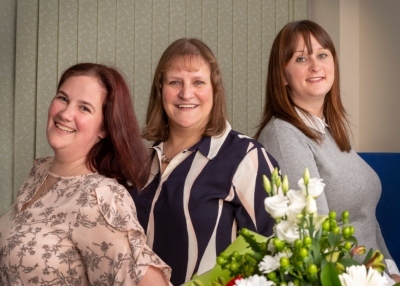 Founder - Carol Saunders and Senior Bookkeeper Jenna Porter are members of the International Association of Bookkeepers, while our newest team member Kirsty Slow, is a registered Bookkeeper with the Institute of Certified Bookkeepers, so you can be confident that our qualifications will ensure any work is of a very high standard, and that your business is protected by our indemnity insurance. We work exclusively with Intuit QuickBooks software – both Desktop version (QuickBooks Pro, QuickBooks Premier) and the superb Online version – QBO. You can read more about this on our QuickBooks Page. As Bookkeepers, we continually update ourselves via HMRC and other governing body webinars, regular contact with various Accountants and via other training and CPD sessions to ensure that we can give you the most accurate information to questions and queries about the book keeping and accounts of your business. We are also always happy to guide on the use of QuickBooks software via short bespoke training sessions, should you wish to carry out your own bookkeeping, or have an admin person or partner doing this for you, but needing a helping hand. We have been working with Carol and her team for 5 years - she handles the book keeping and management accounts for several of our clients. Carol’s team are very professional yet friendly too. Their work is always to a high standard and performed efficiently – using the latest technology to service her clients. Lady of Ledger doesn’t just stop at book keeping, the team also give insight to clients about the financial figures that are produced and take the time to explain these to their customers. Lady of Ledger is not your average book keeper, they are so much more than that and a great asset to their customers. Nice people to do business with – you have the personal touch, are helpful and pick up on things that I suspect others would miss. An excellent service which I would highly and happily recommend to others. I always feel I can contact you however small the matter. Good advice giving. We both feel that when we are doing the accounting for mutual clients, we can be confident that we are starting from an informed position, and that there is no need to revisit the work that you have done for potential inaccuracies- which is a massive help to us, and a big benefit to the client. You’re always at the end of an email and very patient, professional and friendly. I am always impressed with the efficient and timely service Carol provides. Very competitive rates combined with the unique quality of being able to understand quickly, terminology and practices pertinent to our own particular business. Carol demonstrates a professional, but friendly and approachable service, which efficiently in turn enhances our ability to operate and expand our new business. She is an asset to any business and we cannot recommend her enough. Fantastic best book keeper I have ever had I can now make informed decisions with the business. Would recommend to any one, an asset to any business.